We are committed to helping residents into work, access training and support people wanting to start up in business. Our employability team delivers an EU funded programme – STEP – as partners in the Council-led Get Bradford Working campaign. Since 2008, through a variety of employment programmes, we have helped 2,650 people into work, 3,850 into skills training and supported over 300 business start-ups. In addition, in 2017/18 we provided 182 work experience placements through the STEP programme, within Incommunities and working with 35 local host employers to provide high quality work placements. We also run free weekly work clubs for job seekers across Bradford and Keighley. Our Work Club teams are able to give advice on searching job search sites, writing effective CVs, completing job applications, making a positive impression in interviews and learning basic computer skills. These drop-in sessions are run through our network of community partners. Incommunities currently employs 104 individuals who are getting valuable work experience on six-month salaried contracts to help them access permanent work. Geraldine Howley, Incommunities Chief Executive, said: "Improving lives in communities is our vision and we are delighted to be part of this programme which has given so many local job seekers a new start. Sarfraz Gulzar works for Incommunities’ ILM Support Team. Sarfraz had been actively looking for work for two years when he attended an assessment day for the STEP programme; this led to a recruitment and selection week that helped develop his interview skills and job search techniques. 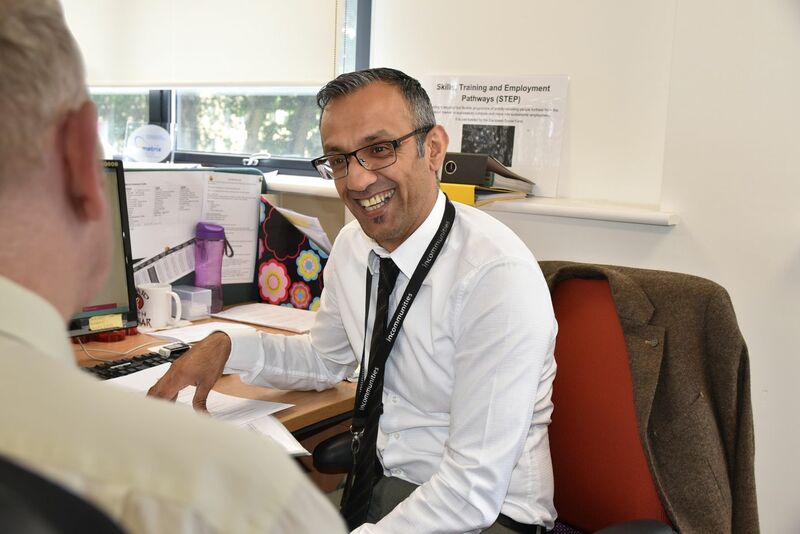 Following an interview, Sarfraz was offered a six-month work experience contract as a Community Development Assistant. As part of his contract Sarfraz attended various training courses and was given job seeking advice and interview guidance. At the end of the six months, he continued to receive mentoring support and attended five job interviews. It led to a string of job offers and from these he was delighted to take up the post of ILM Project Support Officer with Incommunities. Sarfraz said: “Joining the STEP programme has been life changing. Having gone from applying to the programme to getting a job on it has given me a real insight and empathy for the candidates taking part. I am able to use my story and my struggles finding work on the assessment days to hopefully motivate them. Chloe Waugh joined the EU funded programme following a referral from local careers enterprise, Aspire-igen group. She had been out of work for some months and looking for a career change after twelve years working for a retail distribution business. Chloe joined the programme at the end of 2017 and has gone on to complete a City and Guilds employability skills qualification. Following a successful interview Chloe joined the group’s Neighbourhood Services as an Administrative Assistant on a six-month contract. Chloe said: “The training I’ve received from Incommunities has been brilliant. I have worked with housing officers attending meetings and gone out on home visits. Part of the week I’m based in the Customer Contact Centre and been trained in dealing with repair enquiries. As part of my placement I’ve also attended City and Guilds English and Maths training run by the organisation’s Community Resilience Team, training which is also provided for our customers. “Joining the STEP programme has been life changing"